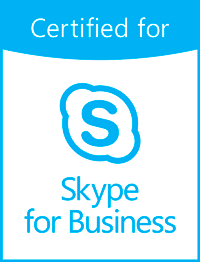 Lancaster, PA–Sept 23, 2016 – Today Landis Technologies announced that their no-server-needed attendant console solution for Skype for Business and Office 365 Cloud PBX, Attendant Pro, is certified for Skype for Business. Landis Technologies’ Attendant Pro for Skype for Business has been deployed globally in over 40 countries in a wide array of industries. Landis Technologies has worked closely with Microsoft MVP’s, Skype for Business experts around the world and Microsoft engineers to align its attendant console solution to the rapidly growing number of Skype for Business Server and Office 365 Cloud PBX implementations. Simple: 1 Minute Install, No Servers. Easy to Implement, Manage & Use. Landis Technologies is a Microsoft Gold Communications Partner who provides Skype for Business and Office 365 software and implementation consulting worldwide. Contact our Attendant Pro sales at paul@landiscomputer.com or 717-733-0793.